Many of us have taken Chancel repair Liability insurance out probably for a sum of between £25 and £60 possibly preceded by a chancel check to see if there is likely to be a liability in the area. On the face of it as a result of as a result of Aston Cantlow where a family were faced with a bill of £100,000 it seems fairly reasonable. Yet questions have arisen in my mind about this practice, since I am aware of places where insurance has been take out where there is no liability and other places where there is liability and yet it has not been taken out. One question that I have considered is paying the PCC cheaper easier and more efficient to remove the liability than getting insurance that has limited effect. At a later date long after the Aston Cantlow court case left the headlines the Wallbank family had to pay a further £36,500 to release their land from the liability which is called compounding a mysterious procedure under the Ecclesiastical Dilapidations Measure 1923. After that date, the liability was removed and since they paid, I assume for 100% of the liability it was removed from all land in the parish. The vast majority of chancel repair liability (75 %?) is apportioned out with each field taking a tiny amount of liability using a calculation based on pre-decimal coinage. Taking a real but anonymised example from a parish that I believe is not to pursuing the liability. this means that for every 1 old pence of a value an allotment has the owners are due to pay 1/281578. Allotment 185 now has 11 owners on it and the owners would be obliged to share the liability between them in a way they thought was equitable. For a PCC to register the 185 it would almost certainly cost a PCC in excess of £100 and to collect the money probably about £30. It is likely, as the estate is fairly new, that all the owners have bought chancel repair insurance at a cost of at least £25 (could be as much £60) per house which is vastly in excess of any even foreseeable liability on the plot of land. If it was considered that the compounding figure was around £40,000 (this is only a guesstimate and based on Aston Cantlow) for a chancel that the compounding figure to completely remove the liability from this plot would 184/281578 * £40,000 or £26 showing that in this place chancel repair liability insurance is fairly pointless. This example of apportioned liability is fairly average since there are places where the percentage per plot is much smaller and a places where it is larger. All the other forms of Land based liabilities i.e 'land given in lieu of tithes' (like Aston Cantlow), 'merged land and tithe' and 'impropriate glebe' are several ie an owner is liable for it all with the other owners of the lands. 'Land given in lieu of tithe' size varies in size from between a few acres to 1000 or so acres and the number of parishes affected is normally between one and three. The enclosure of Neroche (or Roach) Forest in Somerset may have the record with the possibility of involving 13 parishes (Broadway, Bickenhall, Beercrocombe, Ilton, Barrington, Ashill, Illminster, Whitelackington, Curland, Donyatt, Isle-Abbotts, Hatchbeauchamp, Buckland). 'Merged land and tithe' liability can be equally vast in a given parish covering maybe 1000's of acres. Acts of parliament that created enclosures are fairly well documented and it seems that Chancel checking organisations use these as a basis of their databases. I am aware of at least 2 instances where people have paid for insurance in an area which had an enclosure award giving land to a Clerical Rector but that liability was removed in 1923 so in effect people are paying for an insurance that can never be used. Many enclosure award's were issued without plans or the plans are not that good and so that the land bearing the liability cannot be traced. Yet not all enclosure awards where carried out by parliamentary act and so at the this point it remains slightly uncertain to me whether the databases of chancel checking companies can detect this liability if there is no parliamentary act. If someone happened to be aware they own an acre of liable land out of a possible several hundred I don't see why they can't approach the diocese to remove the liability. The owner could offer to compound it by an appropriate percentage ie if they own 1 acre out of 200 the owner could offer 1/2% of possibly £40,000 although it may not be accepted but it is worth the attempt. This particular liability was created by the 1839 tithe act and allowed owners of the land, who also owned the tithes to extinguish the tithe payment to themselves and to merge the liability for the chancel into the land. Not every land and tithe owner did this but it seems to a way of avoiding mapping and apportionment costs and the only way of knowing if a particular area has this liability is a close examination of the tithe apportionment document. This form of liability is often poorly mapped and hence no one could locate the land bearing the liability but there are tithe maps where the land is eminently traceable. I am aware of at least one place were people have not taken out chancel repair liability insurance and I know there is at least a strong potential for the liability based on merged land and tithe. It is quite easy to do a probably survey if an area is likely to have certain forms of chancel repair liability but looking up the area (here) if you find the place as clerical rector then there is no liability but if someone else owned the tithes then there is a possibility of enclosure based chancel repair liability. If an area had apportioned liability then looking the name of the parish up here in section IR 104 will show if there was apportioned liability in the given area although not all areas of the country have got the files in a downloadable format. If there is apportioned liability then there is the increased chance for the other rarer forms of liability to exist. 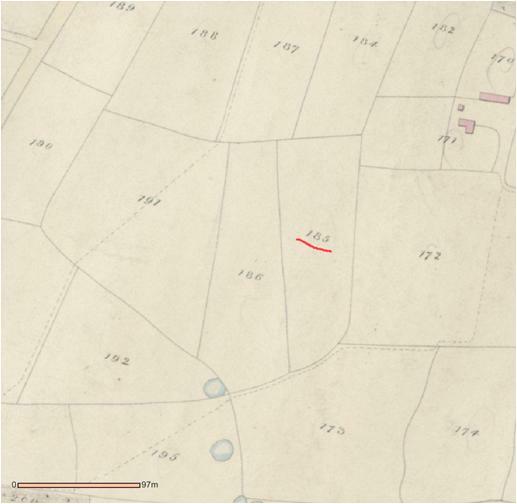 If got hold of the record of Ascertainments from IR104 and then compared it with the local tithe map and your proposed acquisition was on one of the plots listed then you know it is subject to apportioned liability as noted above. I have wondered why solicitors have not over the last 10 years engaged their own archivists to draw up a portfolio of information with regards to chancel repair liability in the local parishes and so being able to give better advice but i guess that is where chancel checking companies have come in. Chancel Repair Liability insurance was it worth it? Generally, for the ordinary home owner, in the majority of locations, it was probably not worth it since frequently the liability is minuscule and in urban areas virtually untraceable. For people living in country areas who own large tracts of land or people living in parts of the country with known enclosure awards it is probably something that is worth having. Even apportioned liability can build up if someone owns a large number of fields. I have spoken to many parishes and by far the majority are not registering the liability for a whole variety of reasons which decreases the usefulness of the insurance. I would only take out insurance in a place after I have done some personal research but I would absolutely take out insurance if one of the conveyance deeds said something like land subject to 'Ecclesiastical dues' or it was in an parish where I have found there should be liable land as a result of an enclosure award and a plan exists (my personal lists researched are on points 4a, 4b and 4c here). I guess, though for the vast majority of us, there is the element of peace of mind for having the insurance and avoiding the research stuff but don't expect the insurance to be used. If buying property after 13th October there shall be virtually no need for chancel repair liability insurance.